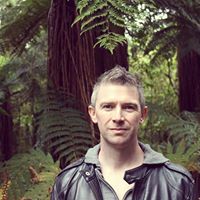 Shane Gallagher is an active member of the Green Party has been a Green Party candidate for Dunedin South and a trade unionist. He works at the University of Otago. He grew up in Dublin and went to university in Dublin and Edinburgh where he studied Linguistics and English. He has worked at the University of York and Edinburgh University as a linguistics researcher and as a lexicographer for the Scottish National Dictionary. He has also worked as a web developer, a stage-hand, a maitre’d and a lecturer in sustainable business practice.